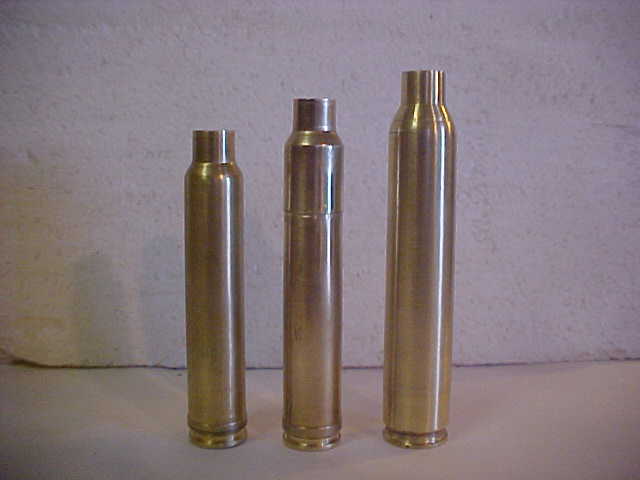 .375 Lethal Precision Arms LLC rifle shooting prototype solid 400gr Berger bullets. 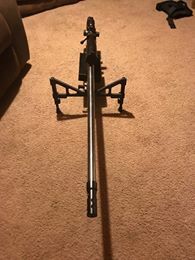 these target rifles for anyone into target shooting and long range hunting..
a full 1.4 miles away. 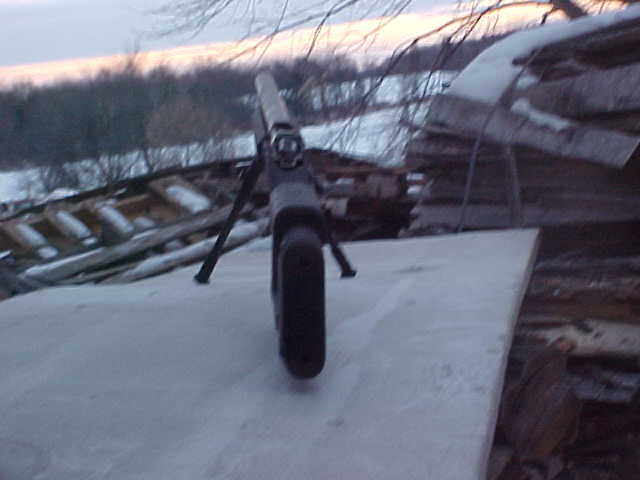 It is windy out there, makes shooting hard with a time limit. 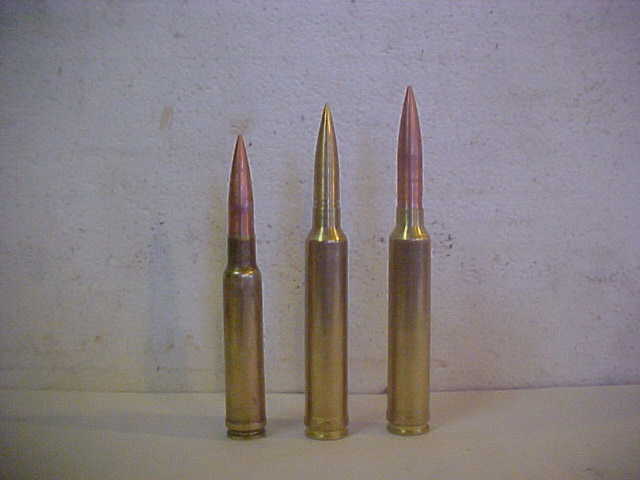 The prototype 400 grain Berger Bullets solid performed great, (G7 BC of 0.56 at 3000 fps). 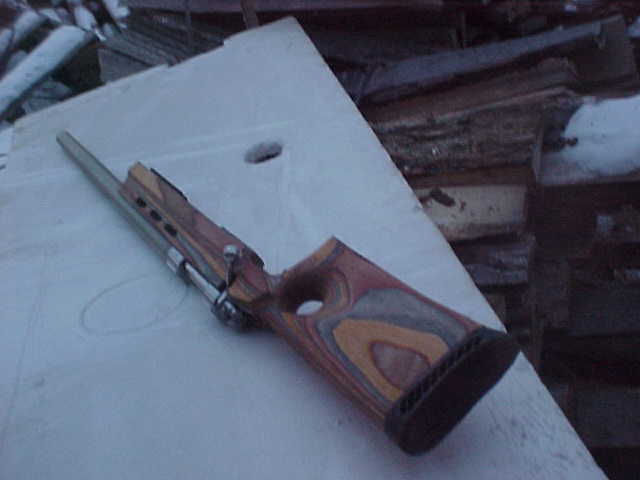 Here is 585 HE in an Enfield, in a Choate Heavy Varmint Stock. These are super strong. 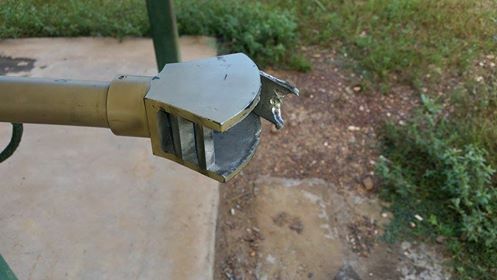 for our case as it came from production line,. 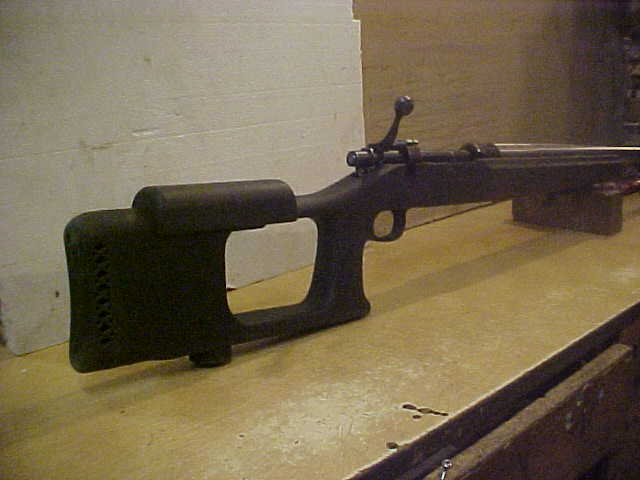 I like Hogue stocks, but they aren't made for singleshots. 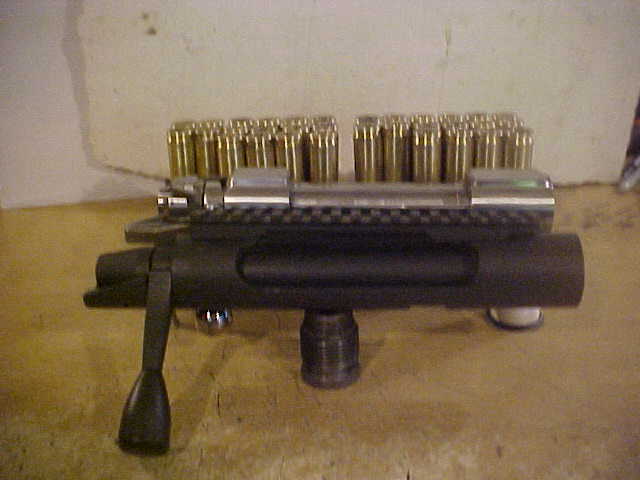 We use singleshots for our 12ga FH and 585HE. a NEF break action and got 3 nice buffs with it. Good job. 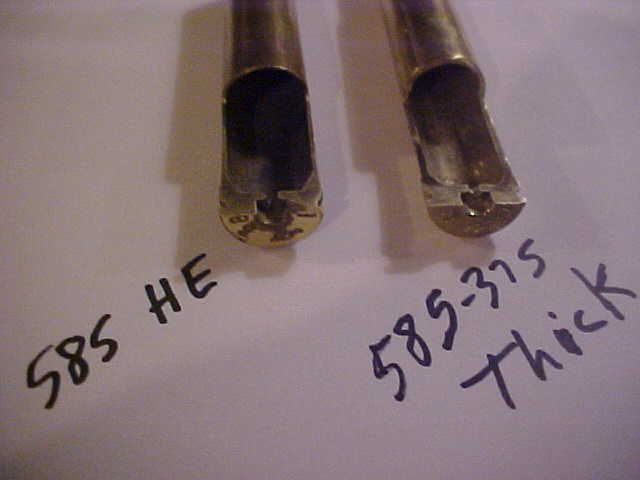 We now have our target 375 HE cartridge, made by necking down our 585 HE. 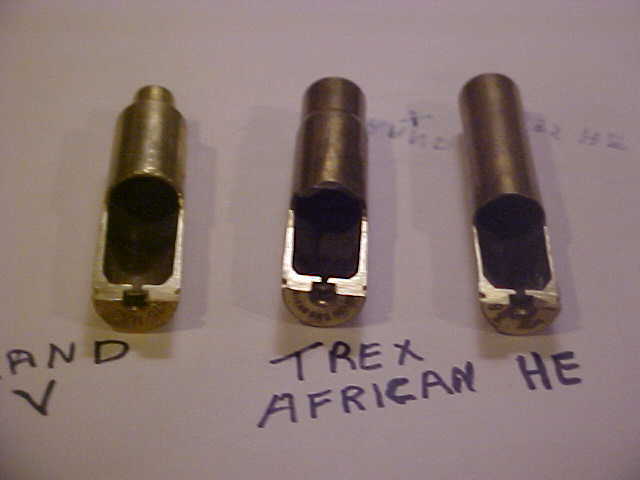 pass on to the next guy, one reamer can make whole bunch of dies for folks. 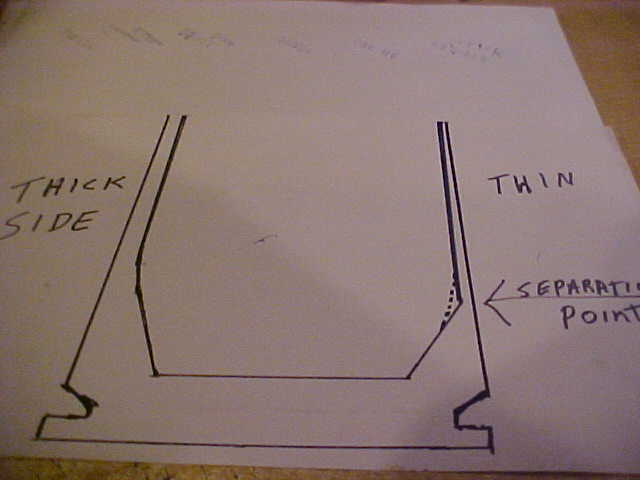 I do primer work separate, not in the press. SO First with lock ring set, I size cases. 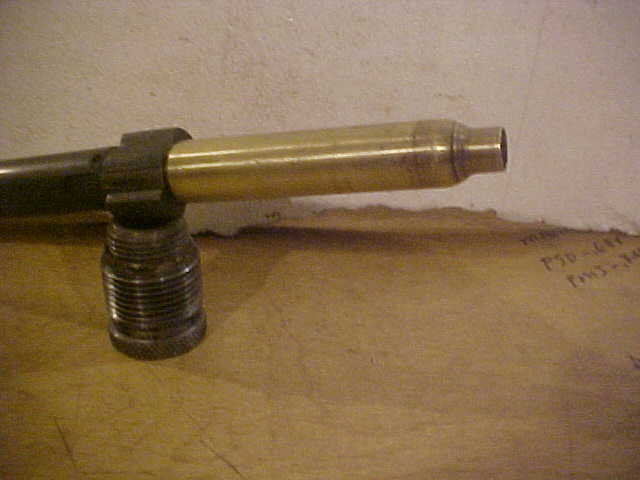 the sides and shoulder corner still supported tight. 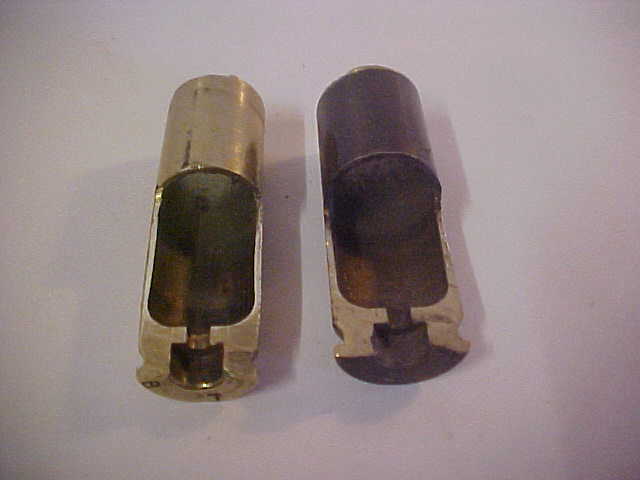 bushing of some kind , that can be made from many items. 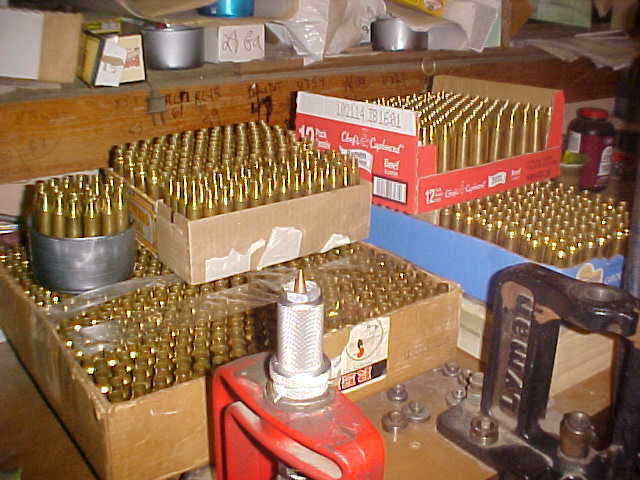 bullet point will get no marks or dents, fast, easy, no 380-500 buck special dies. 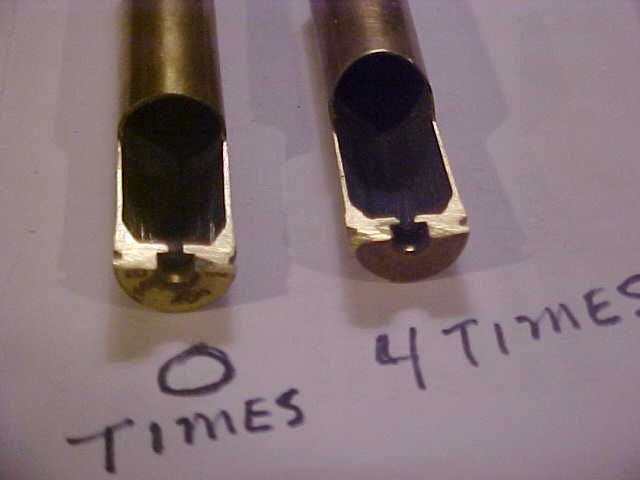 Bushing centering bullet on ogive is very accurate. bench nearly ready. 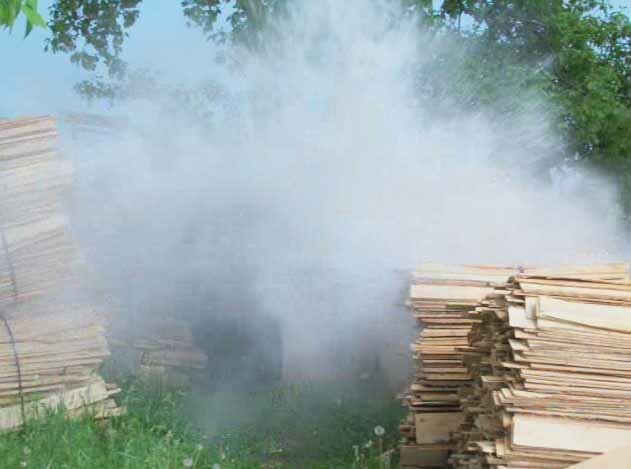 Small batches in shelves.And we will do more. over 2900, 14000 ft lbs with full load..
Picture of our 375 HE cases, with little 378 WEA on left. 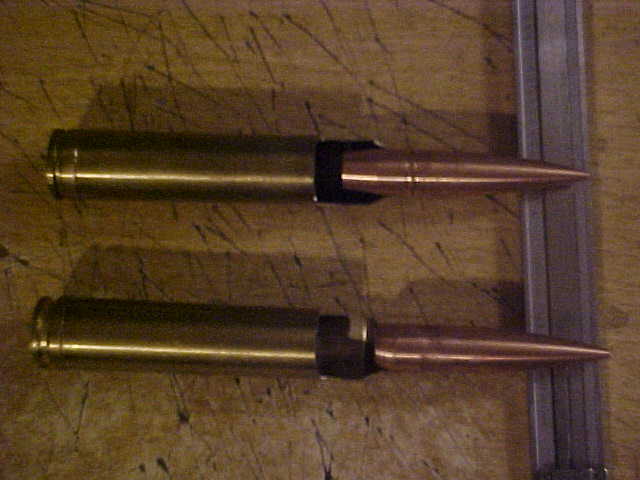 Middle case is with 330 gr, right case is 400gr bullet. 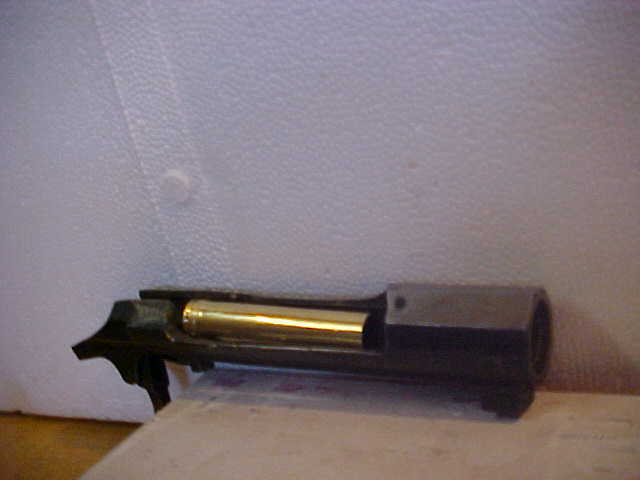 Here is picture of out 375HE testgun, in heavy t-hole stock. 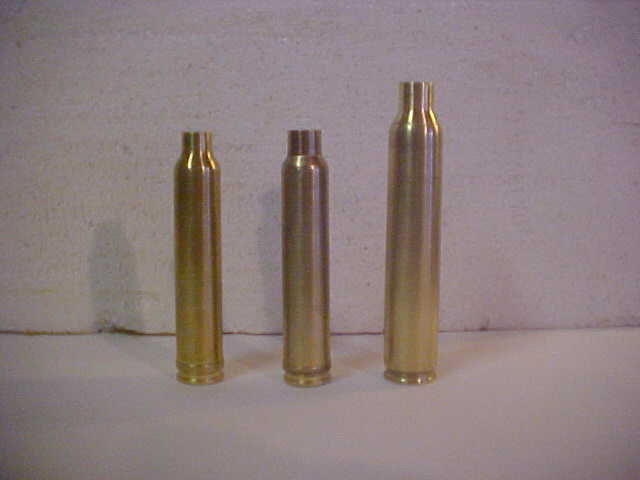 So far 340 gr to 3700 and 360gr 3600.
test gun done,will complete testing soon, to confirm specs. 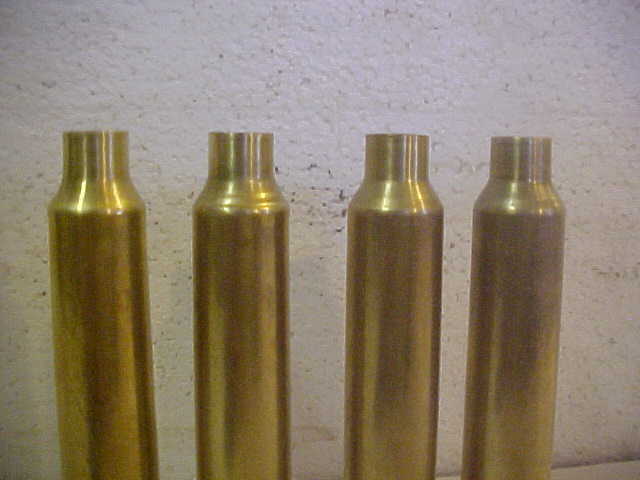 2 on left necked, 2 on right formed in hydro die after necking..
with, going to see if we can make the ultimate 416 ELR case. 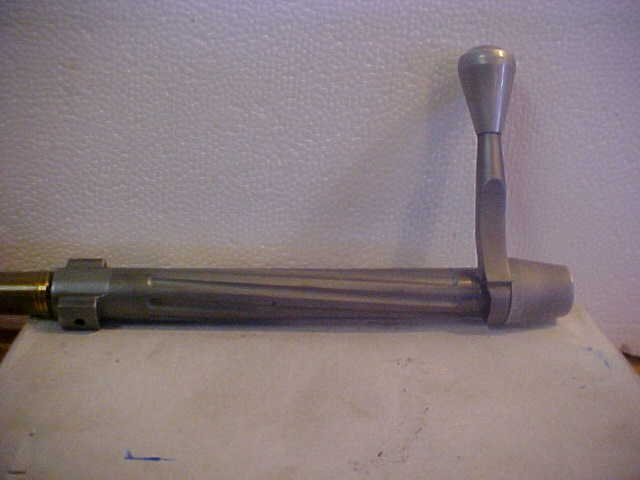 Can be 3.60" to 4.00" long, a long one pictured. 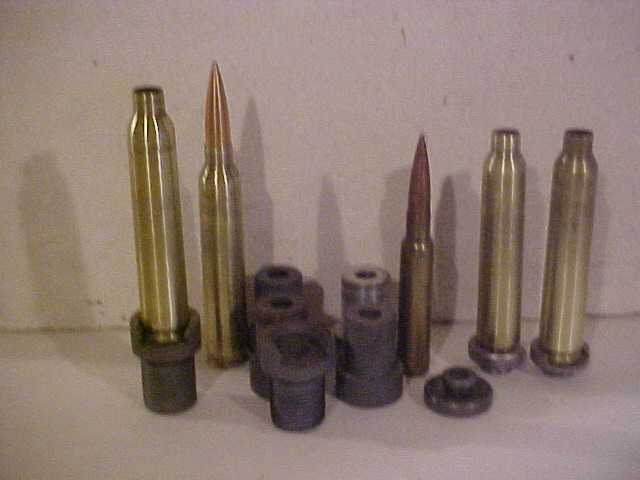 1st case is 416 HE, 2nd 416 HSM, 3rd 375 HE, 4th 378 WEA. 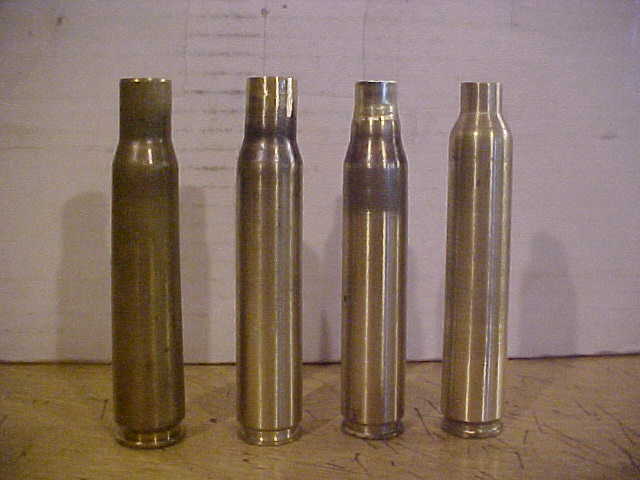 470 gr 3800 plus , it may be the ultimate target, singleshot 416..
to have good, milder, barrel harmonics and srtill be under 50 lbs. 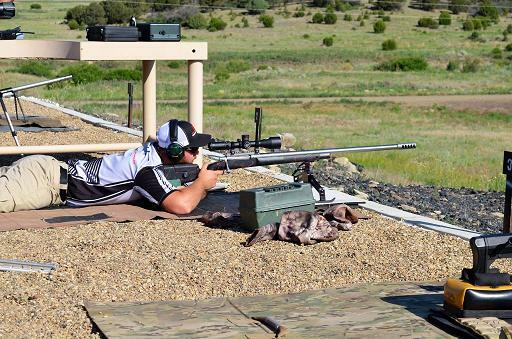 A lot of the 2 mile type shoots are adopting 50lb limit. 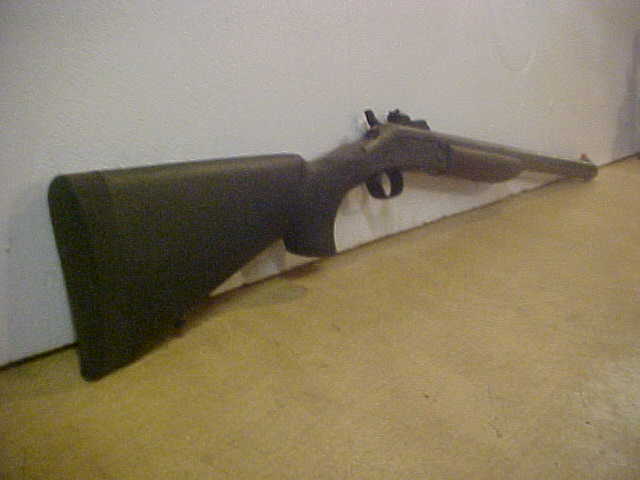 base to shoulder is 3.45", case 3.97" long. Ed.. 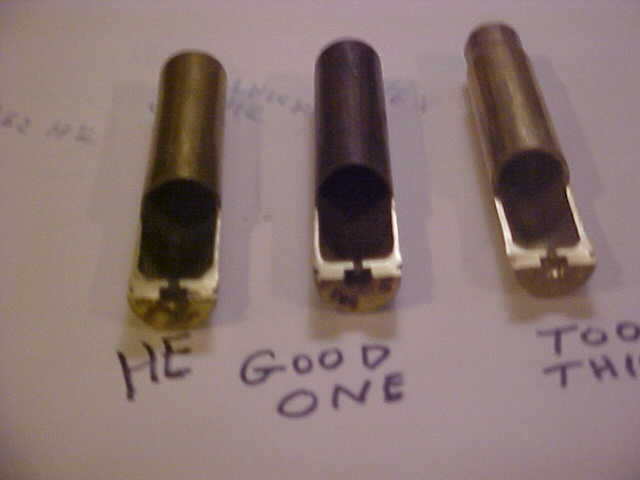 He can also make you a resize die reamer from that info. Questions, PM or email. ph 989-644-5228.. 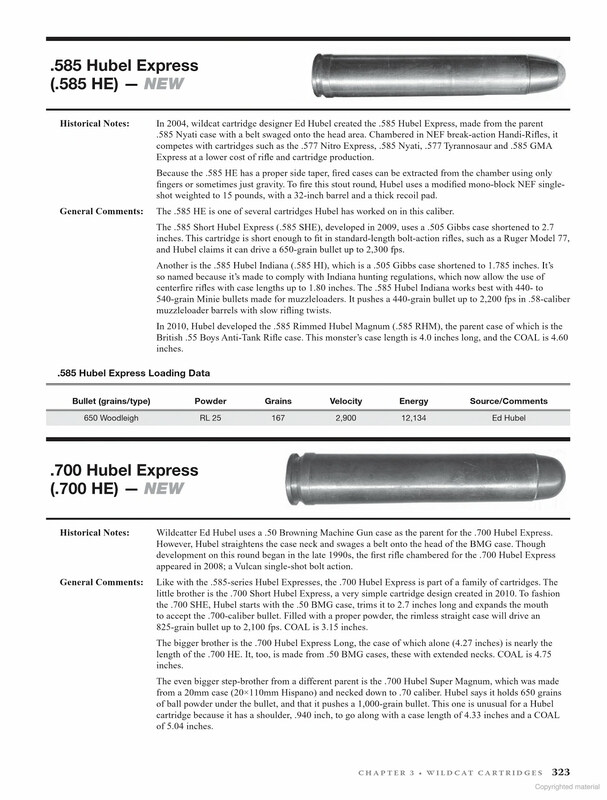 Here are final specs for 416 HE. 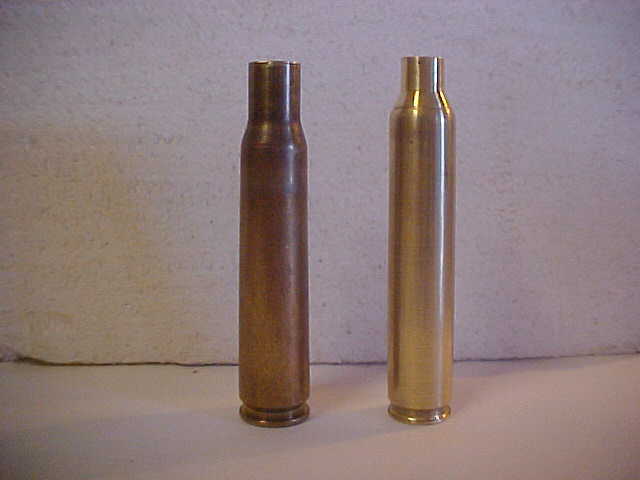 410 ga and 32ga with brass cases and higher pressures than plastic cases. 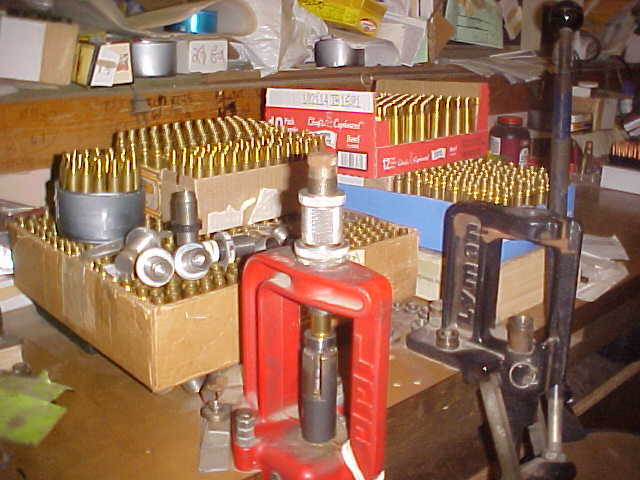 410s from 9.3 x 74 brass, etc..
work set up so we can do at least hundred a month. And working toward getting 416 HSMs in big numbers. 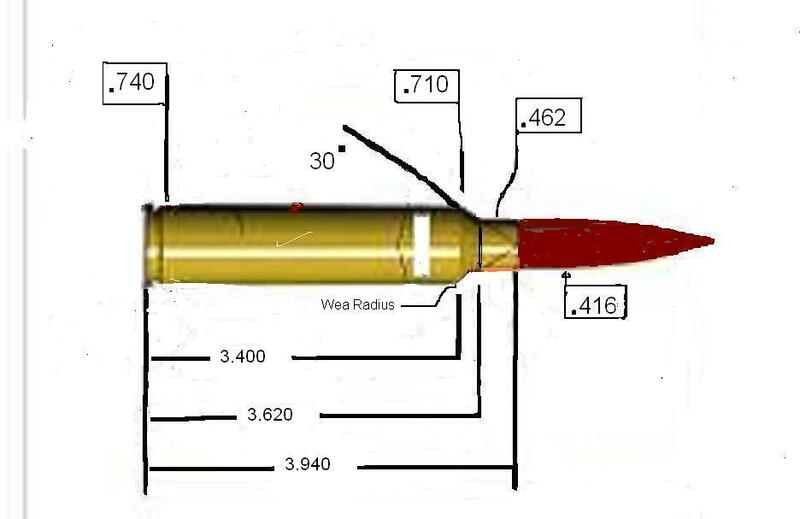 Here's comparison of 416 target cases, 1st 416 HE, have whole bunch. 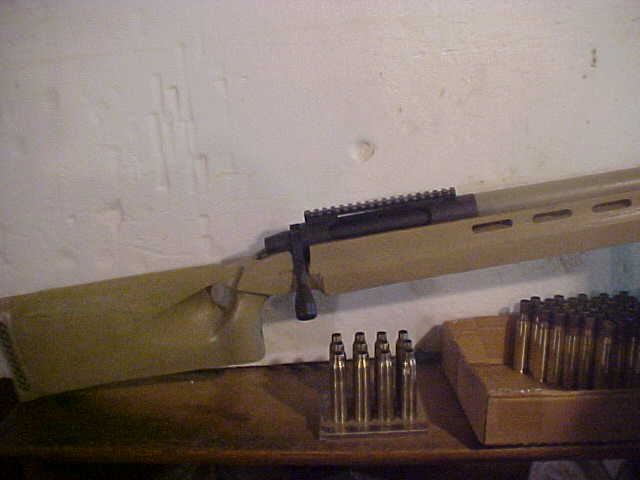 the 416 HE Long. 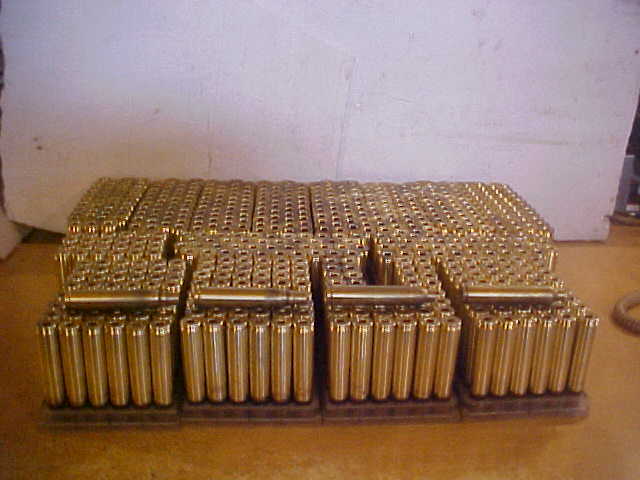 It has capacity of 230gr..
cases, And if had run long cases, make longer 375 HE necking down 416 .. It grouped 17.5 inches tall by 22 inches wide. weekend 10-13th at Valdina Ranch , west of San Antonio. 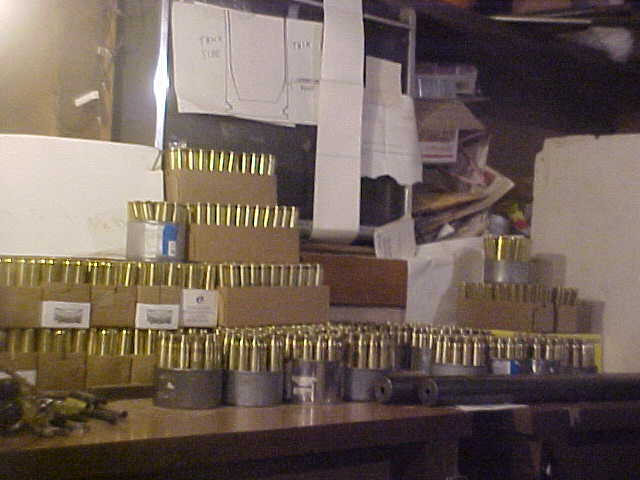 last page in the wildcat section, I think page 324.
on the right, we fired a case twice, capacity is 320gr.. Ed..
More info out now; short, fat cases sticking, pockets not lasting as expected. 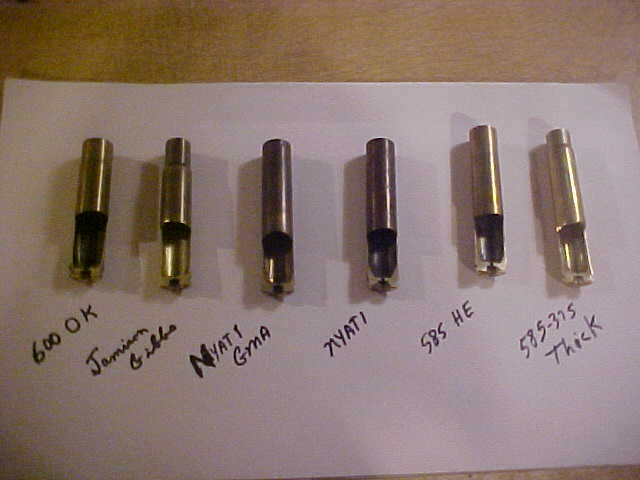 and debth of the bullet into the powder space, as shown in the picture below..
My 375, 416, etc testing, bullets loaded like bottom one, in longer freebore....Ed. 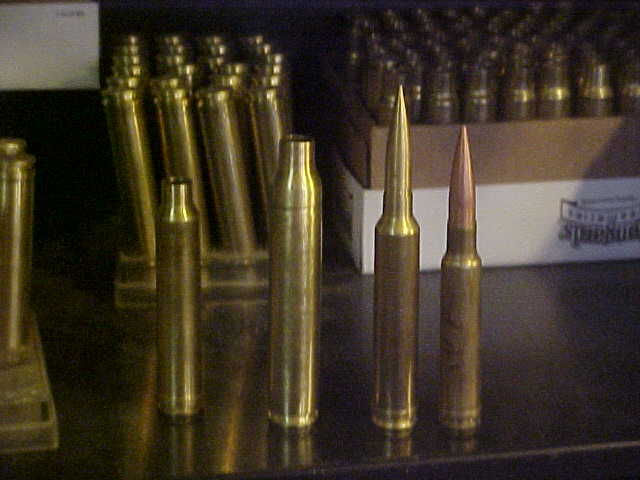 Here is picture of 375 HE left, 416 HE next, 416 HSM right.. I love mayhem. 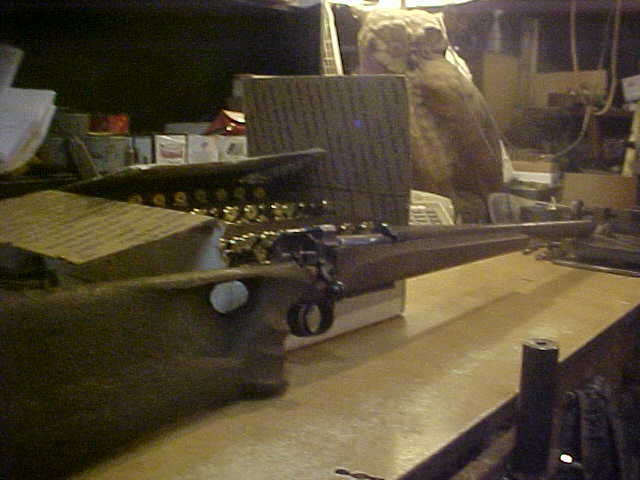 The blown up muzzle brake means to put up the "Men Working" signs at range and have a guy flagging people around your bench. 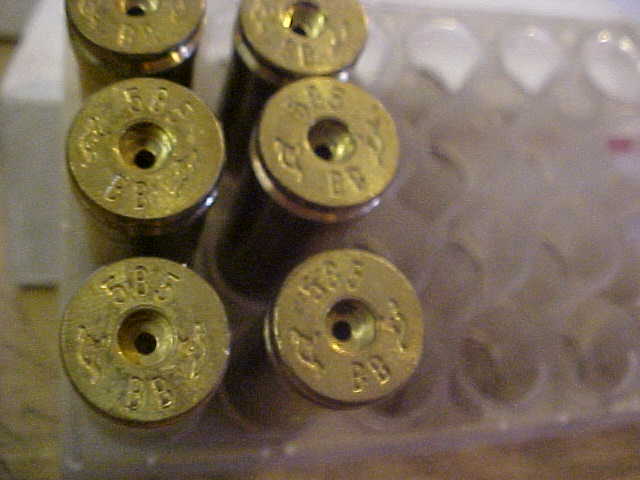 Figure out maximum length for a Berger 300 grain 338 OTM, Woodleigh 250 grain copper solid VLD, 300 grain FMJ or 250 grain Hydrostatically Stabilized Copper Solid and similar designs. 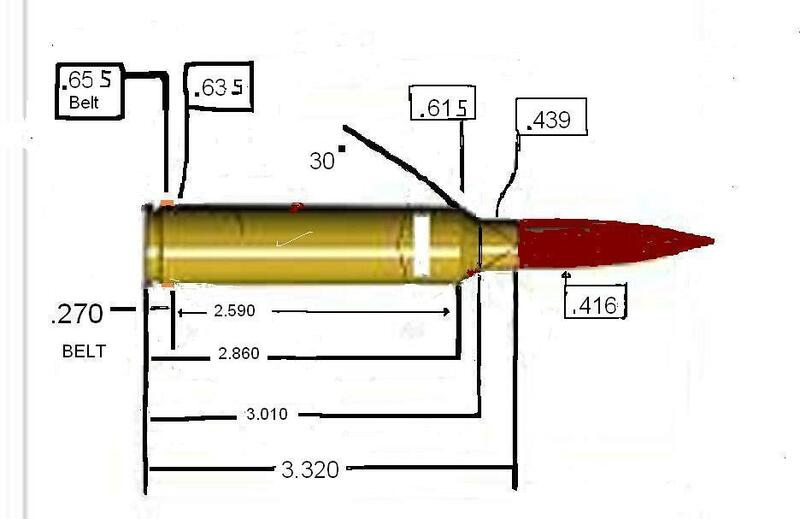 If able to get your case capacity correct for 3,300 to 3,500 FPS in the 250 to 300 grain bullet class, get correct shoulder angle for best accuracy and at least a 700 round throat life in a design where just cut half inc off rear of barrel, rethread and rechamber then put another 700 or so down bore and if abe to get three cycles out of a barrel before rifling is toast it would be a real sniping round. 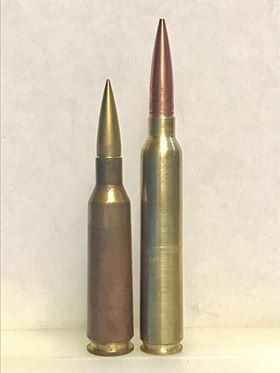 If were more bullet choices in 357 would say go bigger but like 25 caliber if drop to 6mm or go up to 6.5mm then there are a lot more long range bullet choices on the market though quarter bores have a soft spot in my heart. 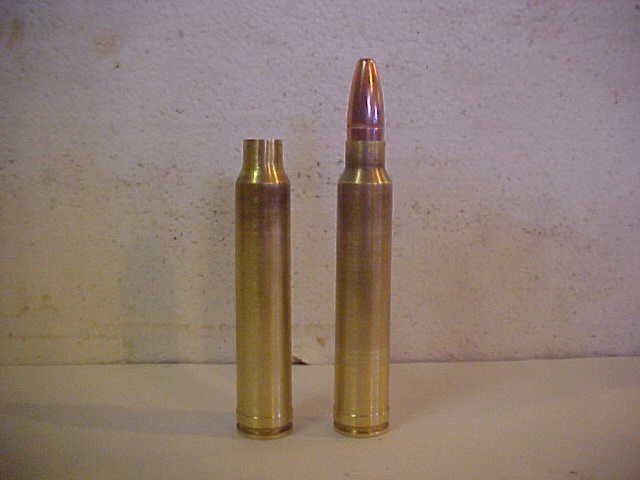 Just ran a model, The 300 grain VLD at 3,500 fps muzzle would still be over 3,000 fps at 900 yards. 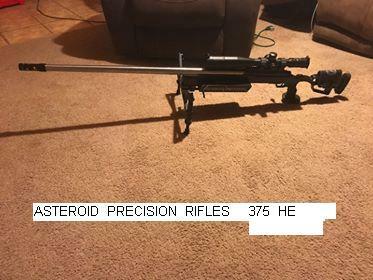 would not drop below 3,000 fps till hit 1,000 yards. 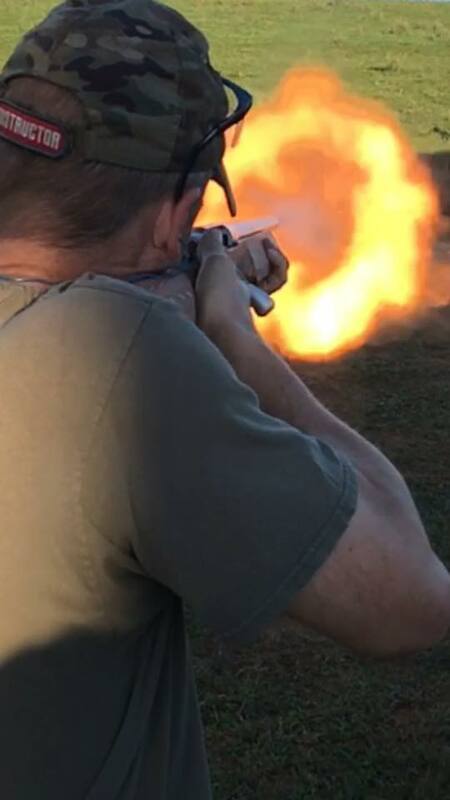 Best part is over 500 yard point blank range on zombie size target. Wish my back, neck and wallet would keep up in the hunt for big bore wildcats. 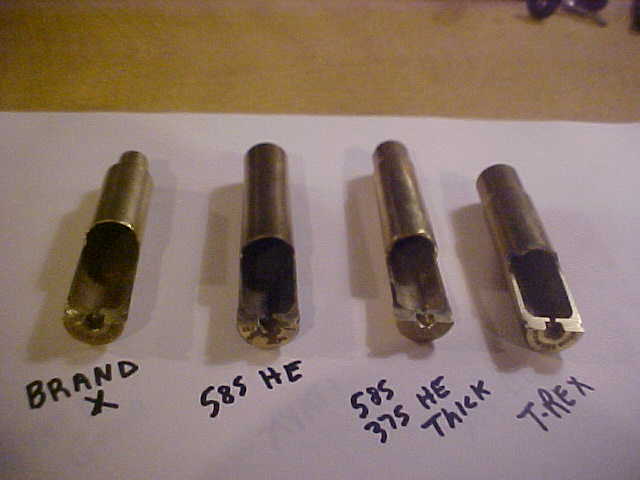 and is checking on better powder, Ed..
15 powders slower than HBMG.Here is pic of thin and thick sided cases, sectioned for comparison.Ed..
Great thread, great photos, great work! Thanks for posting all of this, I'd not seen it here before. 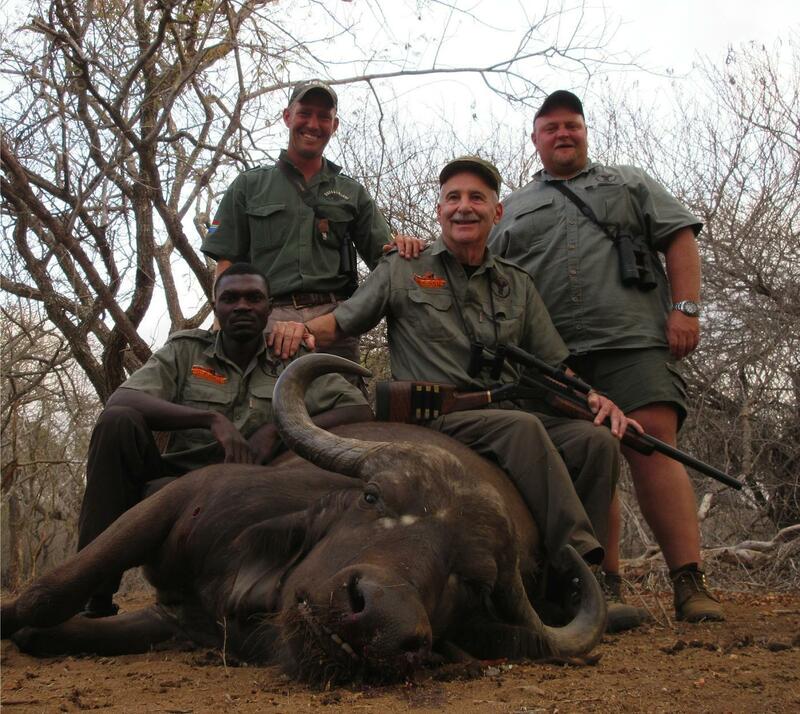 makes my 338RUM look like a pansy! 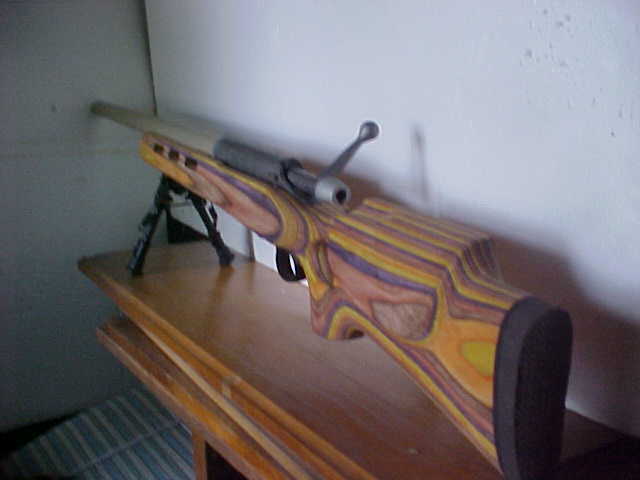 i dig the camo gun...people ask why, WHY NOT!